We are so lucky to have the support of friendship of some fabulous folks in the horse industry. Here are some great links to great people! Marne and Bob Loosenort at Plenty Tiny Ranch in Hazel, KY are absolutely the BEST!! Besides being one of the best in the business, they are two of the most generous, knowledgeable and honest people around. Marne is our go-to gal for anything having to do with a barrel and a horse. We love her two clinics she has each year. 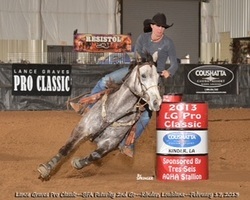 If you are a looking for a barrel horse or training for your horse, check her out! And Bob takes care of all our horses' hooves...and you know what they say - no hoof, no horse!! Speaking of taking care of our horses, Josh and Cassie Morton have a great way to keep our horses working great for us. They have a salt water cold equine spa. There are so many fabulous preventative as well as treatment advantages to the cold spa. It keeps our horses' legs in tiptop shape. Check out their facebook page! 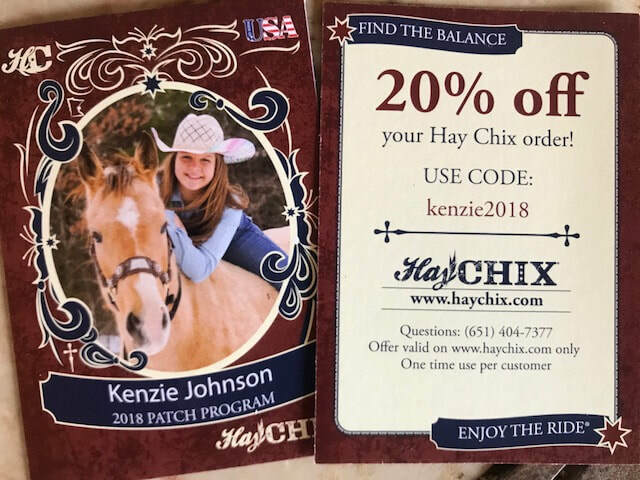 Kenzie has some amazing sponsors. We absolutely LOVE LOVE the Hay Chix hay bags. They are the only hay bags that we use!!! Use her code for 20% off of your order! Kenzie is also on the Rock and Roll Denim/ Panhandle Western Wear Rodeo Team. She exclusively wears their jeans in competition and we have a ton of their shirts. Check out their website for some cute clothes!